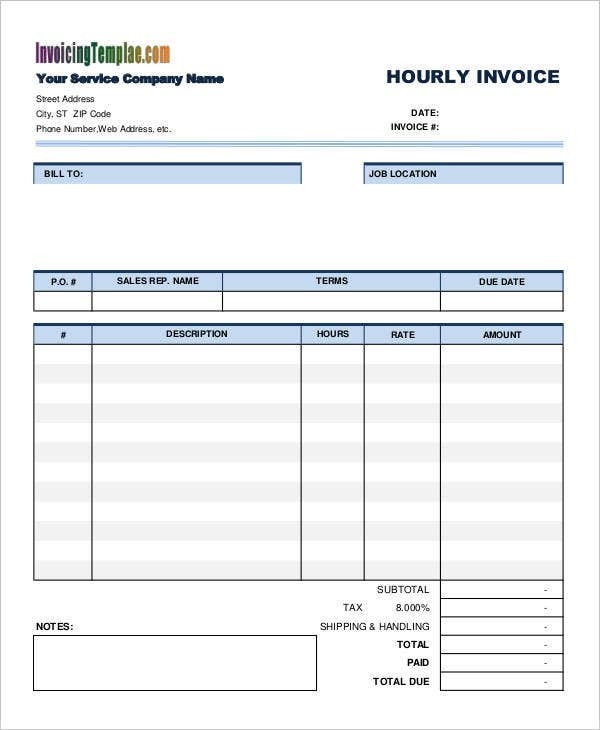 Businesses and service providers require a number of work invoices in their daily dealings with clients and customers. 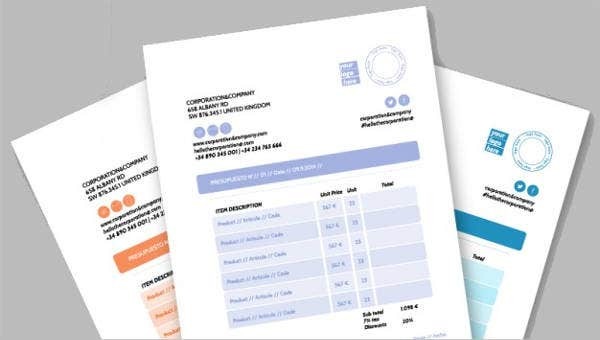 These invoice samples are proof that a service has been provided and thus the provider has resorted into the invoice writing in order to request payment due and demandable to him at the earliest. Work invoices are dispensable for both service providers and their clients. Their significance is the same as that of a commercial import invoice if we speak of importation. 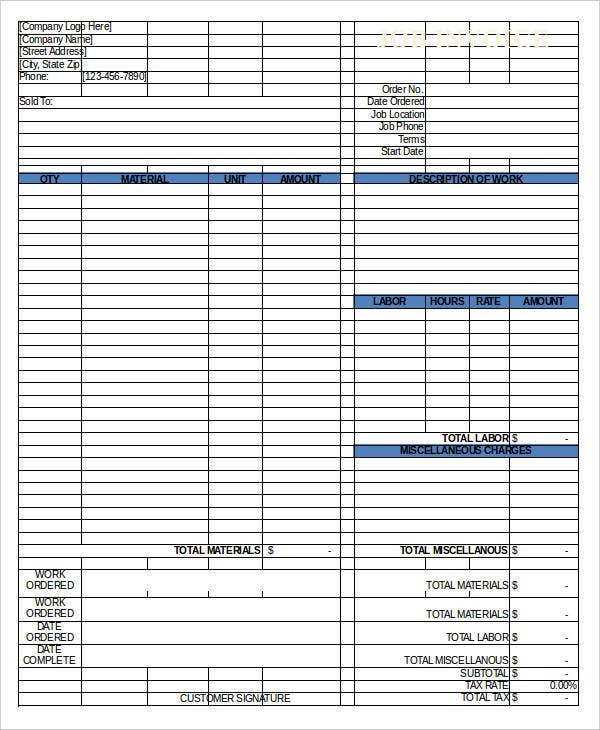 If you want to get acquainted with the different kinds of work invoices, feel free to check each template below. 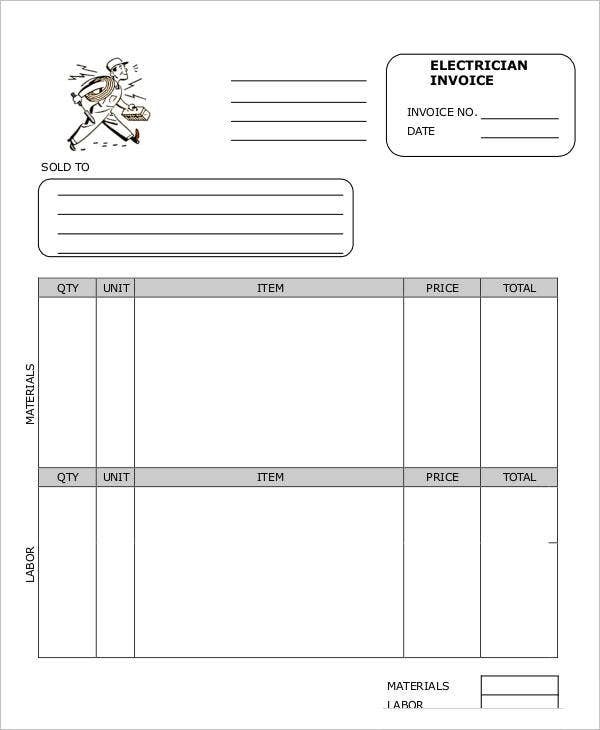 There are sample templates of order invoice, job work, hours invoice, and contract work, to name a few. 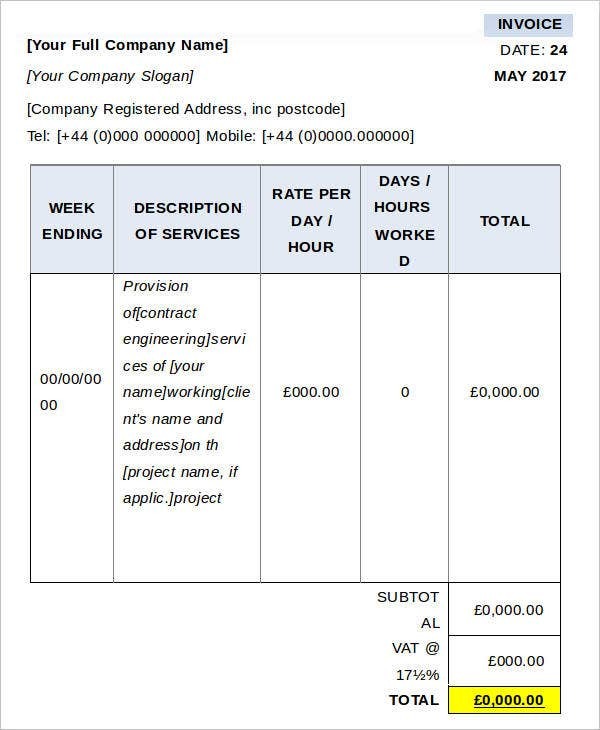 What Is a Work Invoice and How Does It Work? 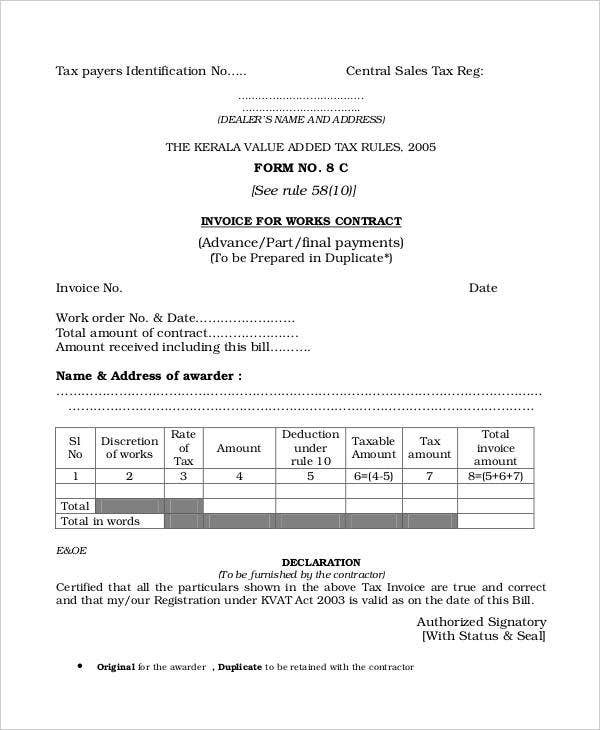 A work invoice is a commercial document issued by a service provider when a certain work or job has been initiated and conducted per the client’s request. Usually, the scope covers a material acquisition, job request, contractual, freelance, and the like. Work invoices can be used as a billing in which the client must be able to settle accordingly and in a timely manner. 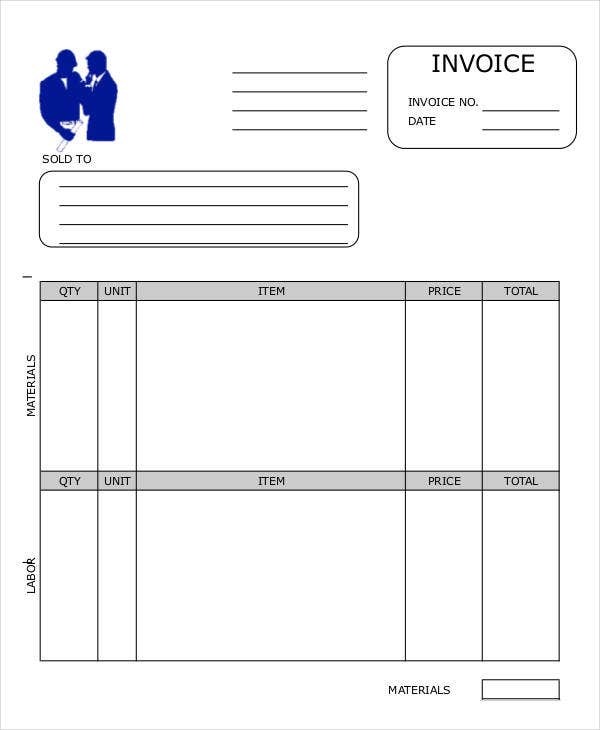 For their standard format, you may check invoice format templates. 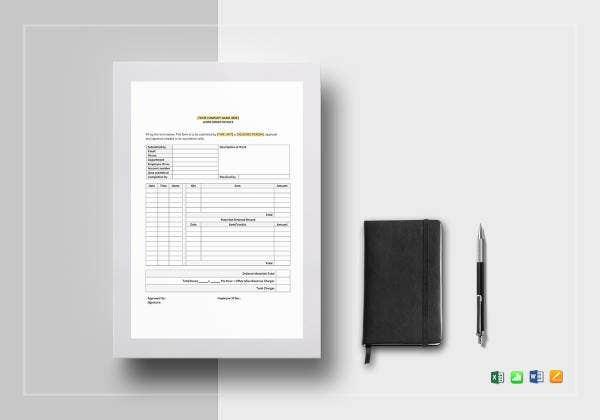 Work invoices can serve as the main basis as to what kind of services or materials have been provided to the client as well as their respective quantities. A work order and an invoice are two intertwined documents but are two very different things. 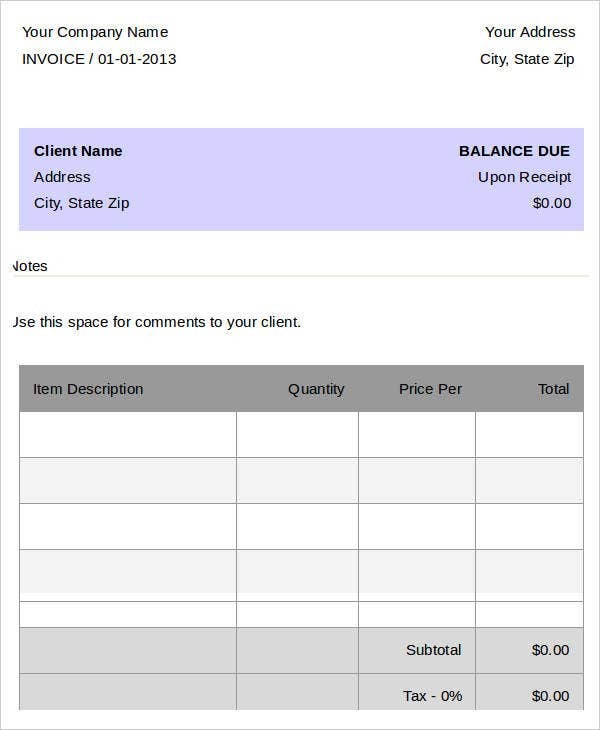 A work order states the service/s required, while an invoice is a document containing the amount that must be paid by the client. A work order is issued prior the invoice. An effective invoice is based on the work order duly signed or approved by both the service provider and the client. A work order is usually issued by the service or operation team, while an invoice is from the administration or accounting personnel. 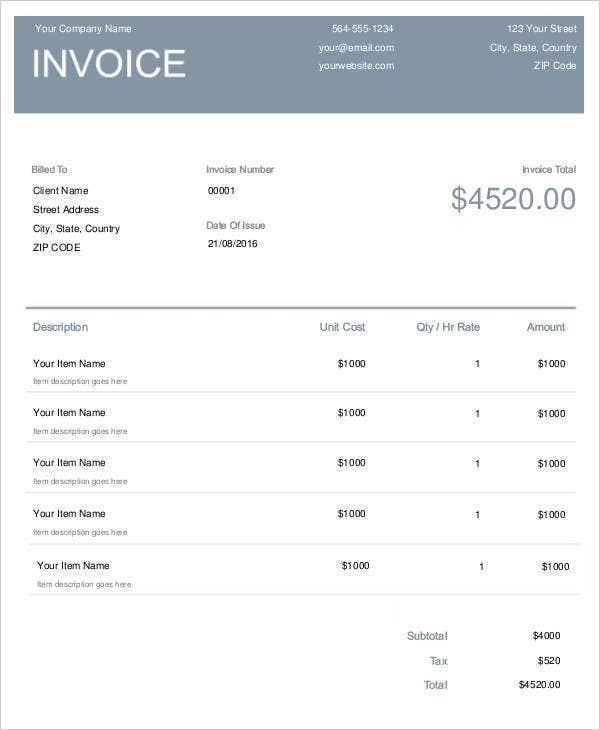 For more ideas about invoices, visit invoice templates or self-employed invoice templates. 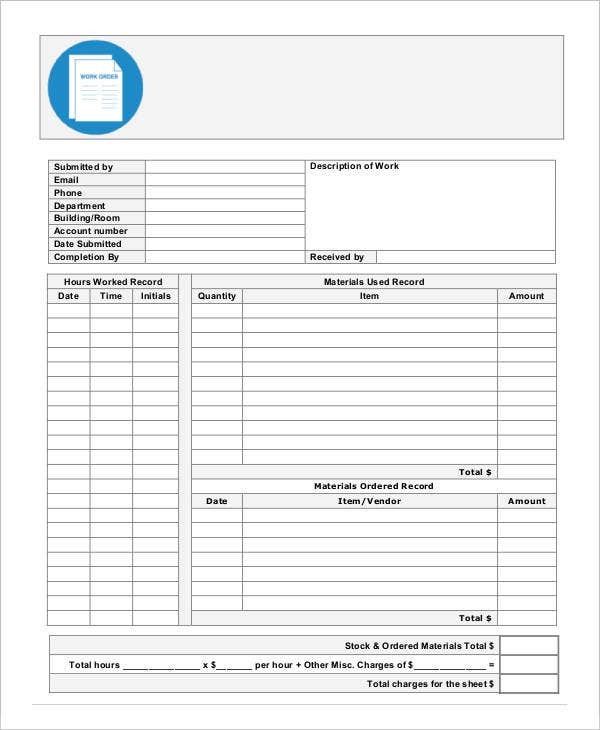 The work invoice template must be formatted after the standard samples like blank invoice templates and contract invoice template. The template must be general for use, and not specific so that it won’t be hard for the user to generate another file or document out of it. Using specific online tools, some details are better left as fixed, especially the company details, date, services rendered, unit amount, total value, and delivery. Each detail must be written comprehensively and in a legible manner. A work invoice must be kept accordingly. Copies should be given to those who deserve to have them. Secondary copies, on the other hand, must be kept for auditing or recording purposes. A work invoice must be approved and acknowledged by both parties to avoid any issues. 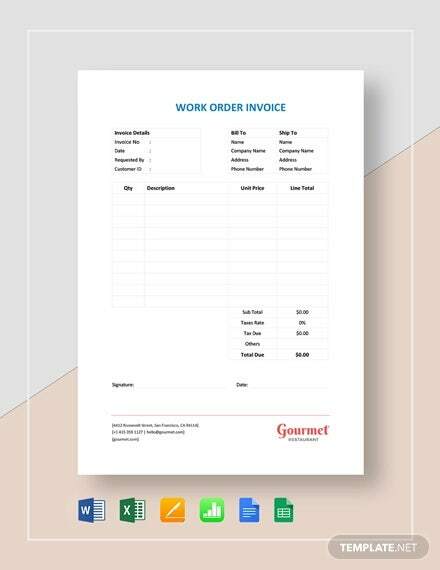 Unlike an estimate invoice template, a work invoice is a pre-requisite document that every service provider must have and is quite beneficial to both the company and the client.